Atiku Abubakar “We must be open to changing the nature of the federating units, such as using the existing geo-political zones as federating units rather than the current 36 states, of which only a few are financially viable,” he said. “We need to diversify our economy away from the dependence on oil. We need to create opportunities for our people to engage in diverse economic activities which governments will then tax for revenues. “But we can’t do that efficiently and effectively without accurate data. I have in the past called for an end to the self-defeating politics we play with census in the country. “With all the data gathering and analytic tools in existence in the 21st century, we have no good reason not to have accurate data on our people, down to the smallest unit, the individual. “Without data, we cannot plan properly and all of us will lose, including those who try to inflate their population figures and those who want to suppress those of others. 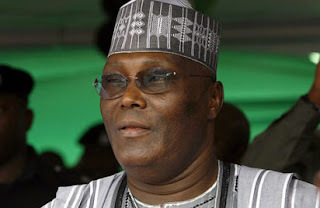 Congratulates Lagos, Kano Meanwhile, Atiku, in a message issued by his Media Office in Abuja, yesterday, congratulated the government and people of Lagos and Kano states on the auspicious occasion of their golden jubilee anniversary.